In our society, I’m sorry is as commonplace as please and thank you. Fortunately, please and thank you will never lose appeal. These expressions of graciousness and gratitude convey appreciation and increase cooperation. I’m sorry, however, is only effective in relationships when authentic. What rationale is behind the sorry trend? According to societal etiquette, when we wrong someone the corrective action is to apologize. There is a deficit when that apology is followed by similar behaviors that warranted the I’m sorry in the first place. When one is sincerely remorseful, verbal acknowledgement that the behavior offended is important, but only a part of what is necessary. If an apology includes changes or adaptations to avoid committing the offense in the future the relationship is enhanced, not weakened. When repeated apologies are extended without true remorse, it will eventually damage the relationship. According to a recent study [Schumann and Ross], women apologize more frequently as compared to men. This is likely because the female gender tends to possess higher sensitivities toward actions that might be perceived as offensive, and males possess lower offense thresholds. As we all experience, both genders use I’m sorry absent of the necessary behavior changes that contribute to healthy, strong relationships. If we are honest, most of us are guilty of I’m sorry’s that follow an obvious offense to someone we are in a relationship with. As a society, we seem to excel in apologies, whether to reduce feelings of guilt, minimize damage to our image, or adhere to expected social etiquette. There is indeed an immediate self-reprieving effect a wrongdoer may feel as they extend some verbal accountability for less-than-engaging actions. Yet, those on the other end of that apology can experience even more frustration by a repeat offender. 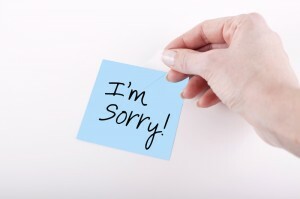 Genuine apologies include a selfless intention toward relationship repair, with the most sincere including an acknowledgement of what caused the offense for the other. Research indicates feelings of inadequacy prevent some people from apologizing at all. 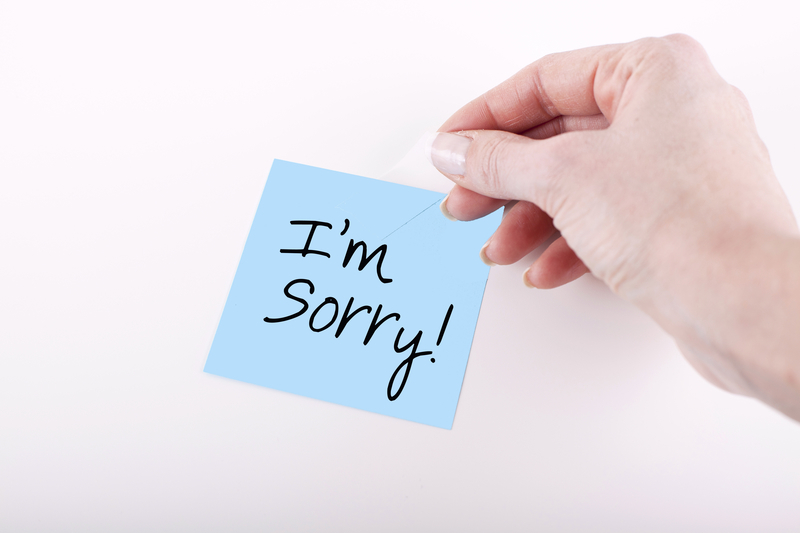 According to our research, it seems apologizing correctly is not difficult after all? I’m sorry may be viewed by our society as polite, but care toward the health of relationships and authenticity of interactions will make our world a better place. Cheers to please and thank you, and only using I’m sorry when we actually mean it! This entry was posted on Tuesday, January 27th, 2015 at 10:02 pm. Both comments and pings are currently closed.